If you are thinking of getting a Betta fish I hope you are also putting a little thought into what kind of tank will be right for him. 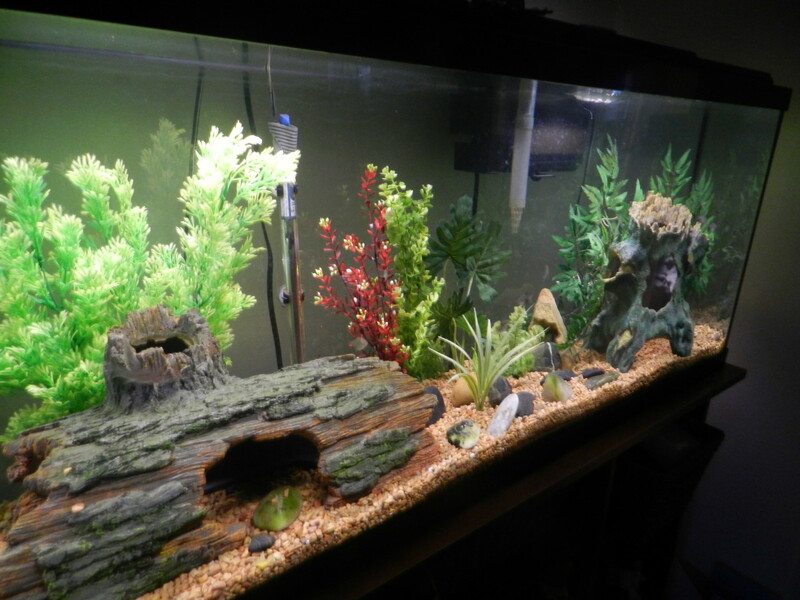 I have several articles that discuss best tank size and setup for Bettas, and my unambiguous and unwavering advice is to choose a tank of at least five gallons for a single fish. If you expect to have tankmates for your Betta, you will need an even larger tank. Betta are tropical fish that need swimming space and proper water conditions just like any other fish. They must have clean, filtered water that maintains a consistent temperature of 75-80 degrees. They need a hiding spot so they can feel secure when they need to, and they need a lazy current that doesn’t push them around the tank. A few weeks ago I got a new Betta fish and named him Megalodon. I put him in a one-gallon tank with a fake plant and some pink gravel. 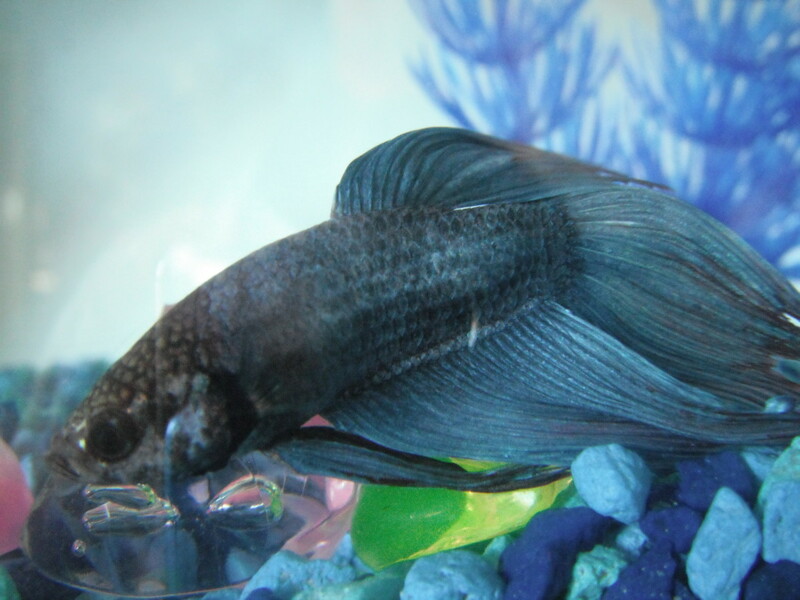 He seemed fine at first, but now his face is white, his fins are deteriorating and he is acting strange. Please help. I don’t want Megalodon to die! Comments like these are as frustrating as they are heartbreaking. I have lost enough fish over the years to know how much it hurts when you try to do the right thing but your fish dies anyway. On the other hand, it’s odd that folks leave these comments on my articles where I clearly explain the best tank conditions for a Betta. Presumably they read the article, yet they still seem stumped as to why their Betta is at Death’s door. The solution is usually simple: Get your Betta into a better living situation ASAP! The industry is partly to blame. Betta fish are churned out in huge numbers, and marketed as disposable pets you can keep in a plant vase or a tiny cube on your office desk. In my mind this is both inhumane and unethical, but sometimes people don’t receive or understand the message until it’s too late. But, instead of complaining about questionable marketing ploys and the poor reading comprehension skills of some humans, I intend to spend the rest of this article explaining why Betta fish need to be in tanks larger than one gallon, and preferably at least five gallons. The first thing to realize is that Betta fish are tropical fish, just like guppies or platies or Angelfish. This means they need the correct living conditions in which to thrive, and anything less will gradually (or perhaps rapidly) lead to their demise. 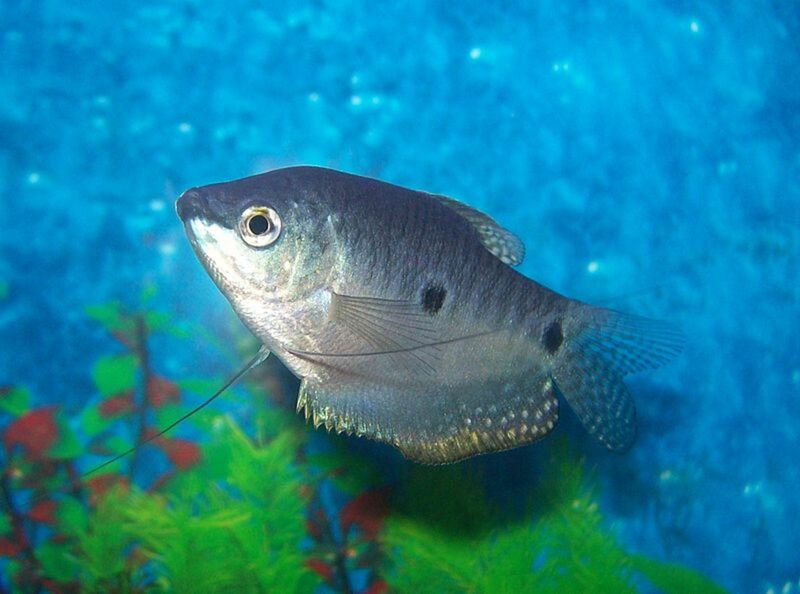 However, they do have adaptations that allow them to survive in situations where most other fish would perish. They are anabantids, and this means they can take oxygen from above the water surface as a well as breath through their gills like other fish. In the wild they have the ability to survive drought by living in stagnant, muddy puddles. This is why people erroneously think Betta are best kept in very small tanks, plant vases, cubes and other ridiculous living situations where they would never try to keep another fish. But just because your Betta can survive such conditions doesn’t mean it is ideal. Remember that wild animals only need to survive long enough to breed in order to be successful. If you only hope your Betta experiences the short and difficult life of a wild fish, by all means keep him in the worst possible conditions and wish him luck. If you want him to live a long, healthy life, opt instead for ideal conditions. Clean, healthy water is extremely important for tropical fish, and a decent filtration system is vital. Very small tanks typically come with air pumps as filters, with the intention of creating some kind of under-gravel system. This simply isn’t good enough for keeping the water clean, especially in such a tiny tank. There are nano filters available for small tanks, but one-gallon tanks have very little room for such a filter. Even so, Betta fish do best with low-flow filtration systems, and an aftermarket filter that pushes them around the tank is not good for stress levels. 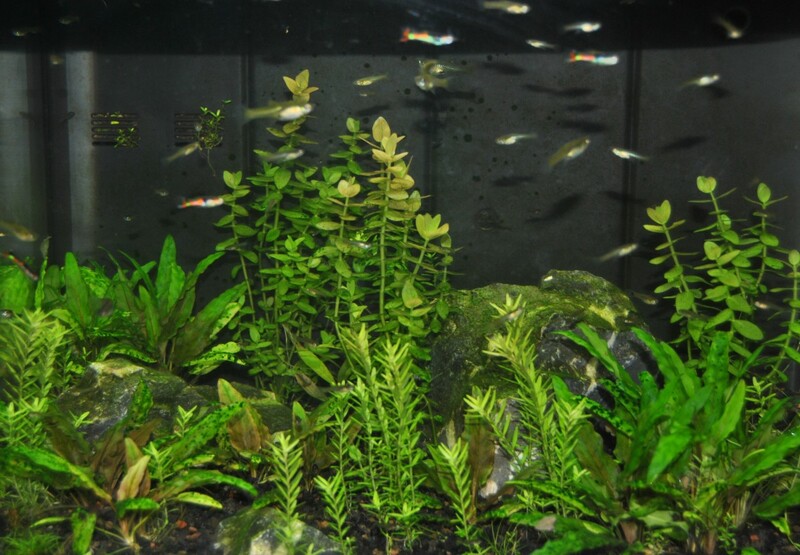 In the absence if a decent filter, a small tank owner must choose between doing full water changes and cleanings weekly, or partial water changes where a little debris is left in the tank. Neither is the optimal choice. Of course leaving excess food and waste in the tank will quickly foul the water, even after a partial water change. A full water change means the microbe colonies in your tank never have a chance to establish themselves. In healthy tanks microbes help to process the waste in your tank and they do a great deal to keep the water clean. Without them, waste chemicals in the tank quickly skyrocket. These are problems made much more manageable if you choose a tank that’s capable of having a proper filtration system. As tropical fish, Bettas require water in the 75-80 degree range. This means, in most cases, you need a reliable heater for the tank. Small tanks typically do not come with heaters, and this means the tank temperature is governed by the surrounding air temperature. If you live somewhere that the temperature is always at least 75 degrees you may be fine. For most people this means you are putting your Betta under stress by exposing him to cold water temps. A drop to 65 degrees at night may not seem like much to you, but for a fish that thrives in warmer water it is very stressful. Even if it is warm in the daytime, at night the temperature in a one-gallon will drop almost as quickly as the air temp. There are some nano heaters and small heaters designed for bowls. My advice is to use them with caution in any tank under five gallons. You must monitor your water temperature closely to make sure they aren’t raising it too much. Just as cold water can be stressful or deadly for Bettas, so can water that is much too warm. When it comes to tropical aquariums, the larger the tank the easier it is to maintain water temperatures. With a tiny one-gallon tank the deck is stacked against you, and your Betta will suffer for it. Would you keep a dog in a closet? If you fed him and took him for a walk a couple of times a day he’d probably be fine, right? Maybe get a glass door for the closet so you can see him in here. Of course you wouldn’t do that. It would be cruel, and all but the most disturbed among us would agree it is unethical. Yet many of the same otherwise intelligent people consider it okay to keep a fish in a tank where it barely has enough room to turn around. Clearly a dog is much more psychologically complex than a fish, so the analogy does fall apart a little. However, the effect on fish kept in poor conditions in tiny tanks is notable. People often ask me why their Betta fish is swimming up and down the side of the tank. This is called glass surfing, and it typically means a fish is very unhappy in his surroundings and trying to get out of that situation. He’s not trying to get out of the tank of course, but simply trying to swim somewhere else where conditions may be better. I’m not going to try to guess what a fish is thinking, but when it behaves this way it is obvious it needs something it isn’t getting. Larger tanks that give Betta fish more room to swim are less likely to stress them out in this way. A lot of people think the best choice for an easy-to-maintain fish tank is a very small one. It is actually quite the opposite. With the help of a good filtration plan and maybe a few live plants, large tanks are able to establish themselves as little ecosystems that need minimal intervention from the tank owner. A 55-gallon tank may require as little as 30 minutes of care monthly. The rest of the time you just enjoy your fish! Small tanks, on the other hand, need to be constantly monitored to make sure they are running right. When things go bad, they go bad in a hurry. If you intend to own a one-gallon tank you’d better be prepared to work on it weekly, and always be on the looking for signs that the tank is getting dirty. By dirty I don’t just mean physical waste buildup, though that is important to watch for too. Things like overfeeding and poor physical tank placement can also lead to excess algae growth, which in turn affects water quality. An extra pinch of unneeded fish food can have a cascade effect that, if you don’t catch it, leads to very bad things for your Betta fish. This is why maladies like fin rot are so prevalent in fish kept in small tanks. The stress of a confined living area plus the poor water conditions means the fish never has a chance. A 5-gallon tank is (obviously) five times bigger than a one gallon, so that pinch of unneeded fish food will have less of a detrimental impact. I recently had a conversation with someone who told me she loved those plant vases with Bettas in them. I explained what a horrible idea this is, but she said her fish had lived a long time so it must have been okay. This kind of thinking makes my blood boil. 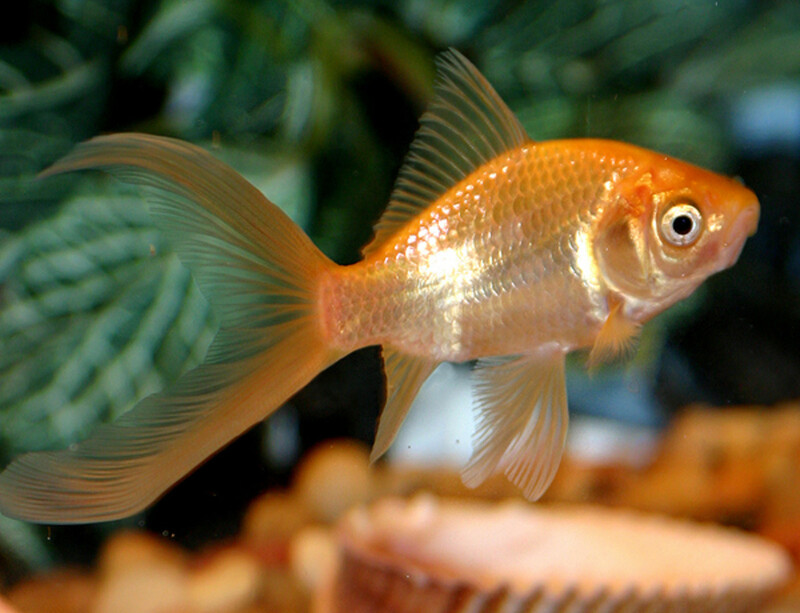 A fish may die or survive based on many factors beyond your control. If your plant-vase Betta lives a long time it is in spite of you, not because of you. Similarly, you may do everything right and your Betta could die prematurely for reasons you’ll never know. Yes, the idea here is to get your Betta to be healthy and live as long as possible. But more importantly it’s about the ethical treatment of animals that are under our stewardship. It is a challenge, and if you aren’t up for it that’s okay. 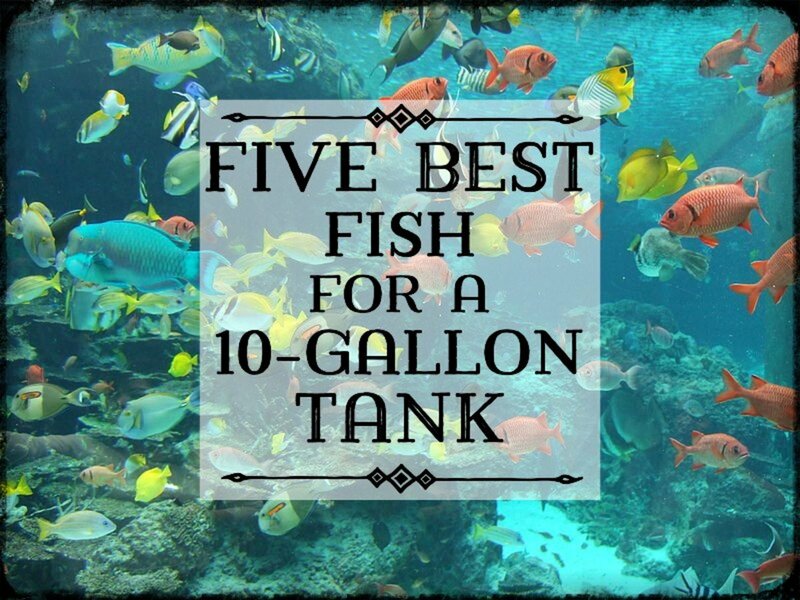 I often hear from people who say they keep their fish in a one-gallon tank because that is all they have room for. My response is that aquarium ownership is not for them right now. That’s okay, and it can wait for someday when they have more space. I’d like to see all Bettas kept in tanks five gallons or bigger. Realistically, I know that’s not going to happen, but maybe a least a few people will read this and get the message. If you are one of those people, spread the word and tell somebody else. Do you keep your Betta in a 5-gallon tank or bigger? I don't, but I will! I don't,and I don't care. I don't have a Betta, but if I did I would. I don't have a Betta and I'm not getting one because I can't have a large enough tank. Don’t you think that a one-gallon tank is better than the small cups that pet stores keep bettas in? I buy betta fish not because I feel like I can give them a perfect home, but a better one than a small container. Yes, a one-gallon tank is certainly better for a betta than the small cups where they live in the fish store. A one-gallon tank is also better for a betta than a mud puddle, a glass of lemonade or a washing machine. Just because it is better doesn’t mean it is ideal or correct. 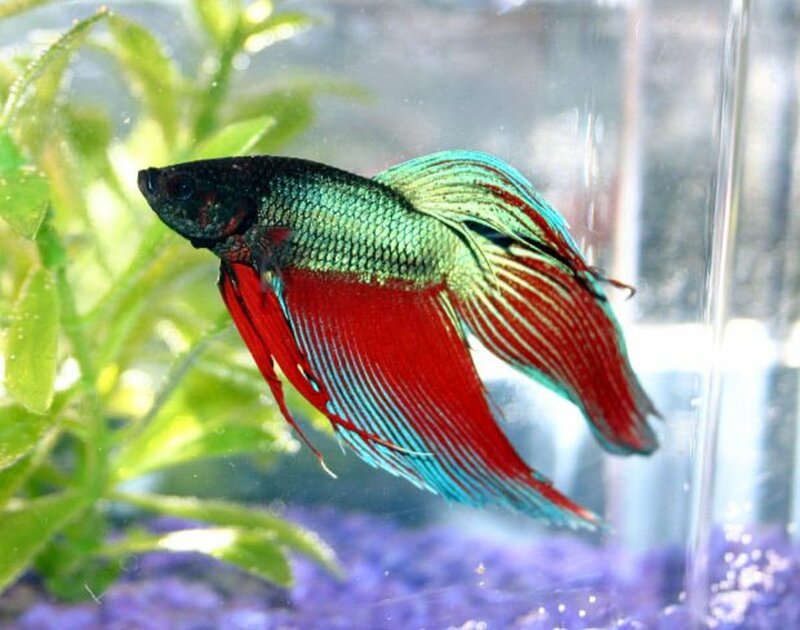 The reason bettas are marketed as a disposable pet is that they can survive horrible conditions. This leads people to think that just because their fish survived for years in a bad situation, it really doesn’t matter if they follow proper care guidelines. To me, it does matter. I see no point in keeping fish if I can’t give them the best home possible. Keeping a betta in a plant vase, tiny bowl or small tank misses the entire point of having the fish. If I can’t be a responsible steward for a living thing brought into my home I’d be better off with a pet rock. 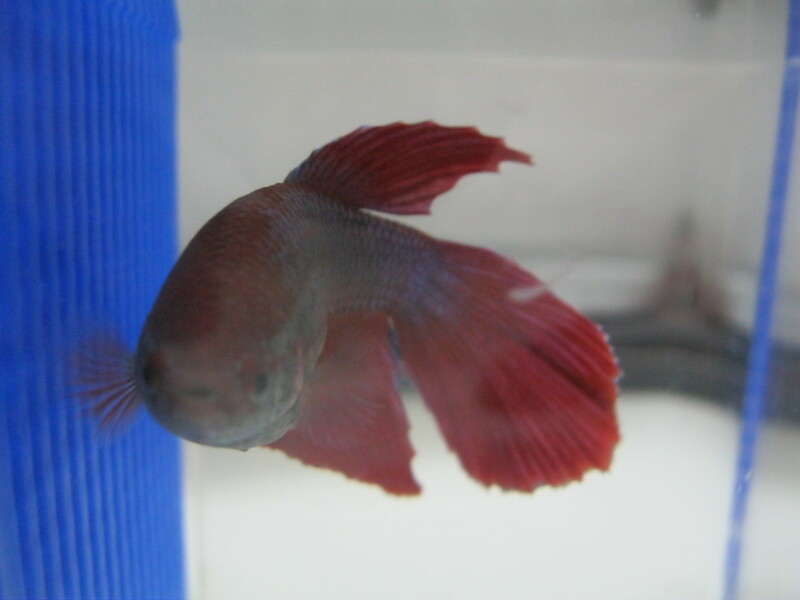 It’s also erroneous thinking to try and “save” bettas from the cups in the store. Think of this from a marketing perspective. These stores don’t know you are trying to rescue the fish. They only know that you bought a fish, and that will lead them to think they must be doing something right. So, they stock more fish. It’s better to buy bettas from places you know follow smart stocking practices. They keep small numbers of fish on the shelf, not piles and piles of containers as you see in some of the larger chain stores, and they sell them frequently. If you don’t know, ask someone at the store. You may have to look around town to find the right place where you feel comfortable buying fish. Better still, if you don’t like how bettas are treated in stores, don’t buy them at all. If people don’t buy them, the stores won’t stock them. In the end, it is up to the fishkeeper how they wish to treat the fish the in their care. 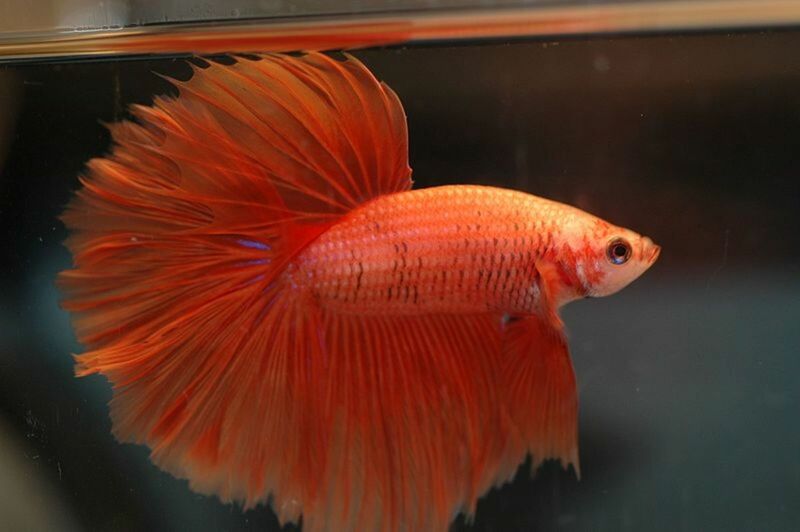 Bettas are marketed as disposable pets that can live in tiny tanks or other bad situations. If you keep them that way, you are playing into that marketing. I didn’t know this about tank size. I am on my second Betta. My first died after 5 years, and I always used a .7 cube tank. My betta seems happy as ever! Blows bubble nests all the time. I think a bigger tank is better, but a small one is okay as long as you are diligent about cleaning it. I clean ours once a week! @Kathy - I'd consider getting him into the 5-gallon as soon as I could. 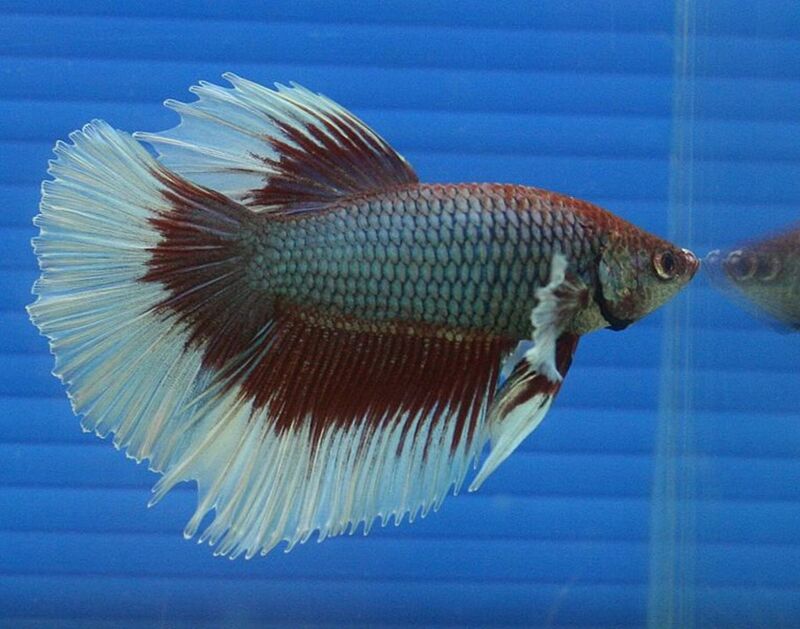 It is strange that you were able to purchase such a young betta from a pet store. I would feed whatever they suggested. If you try flakes make sure you watch him to be sure he eats them. If he doesn't, don't add any more. Good luck! @EmilyAnn - He should be fine in the half-gallon bowl in the short term, but I think it is smart that you intend to upgrade him. Good luck with your betta! @Tabitha - Just makes sure his water is clean and he should heal up just fine. Watch for signs of infection and treat with antibiotic if necessary. @Meade - Actually, any unscrupulous pet stores are more likely to want to sell tiny one-gallon or under tanks. They don't cost much less than 5-gallon tanks and it is easy to convince consumers to purchase them. It is harder to convince people to buy larger tanks that require more effort to manage. This is why bettas in plant vases were so popular a while back - people want a fish, but don't want to actually have to care for it. Certainly some pet stores think this way, but the good ones will give consumers good advice whether it leads to a sale or not. I think people who work at pet stores want to sell bigger tanks, so they push that you must have a 5 ,000 gallon tank for a tiny Betta fish. Money talks. @Kennedy - I always recommend at least a 5-gallon tank for a single betta fish. I got a new betta fish, and he lives in a 1.3 Gallen tank. I'm worried that it's too small. Should I go get a bigger tank or will he be fine in the one he's in? Hi Elizabeth - If you take care of him he will be fine in a 5-gallon tank. Good luck! @Linda - I'm glad your betta is doing well. Many die too soon because of poor living conditions. That's why I recommend bigger tanks. Keep up the good work. I have my betta in a one gallon tang with a filter and a hiding place. He seems happy. Good appetite. Loves to hide. I do not see anything wrong with a one gallon tank for a betta. @Karen - It could be a number of things. 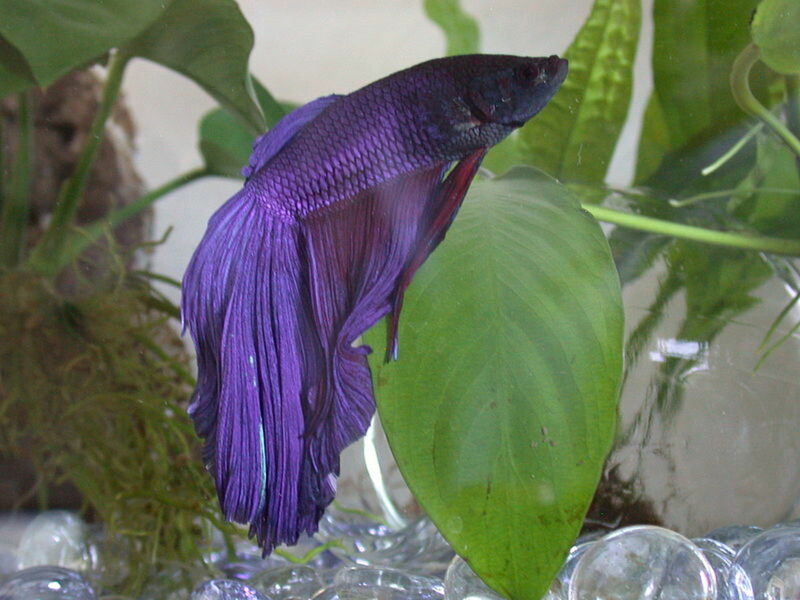 You may wish to do a search for betta diseases and see if any of his symptoms match known issues. @Lucy - It's okay. Just do the best you can with what you have. One-gallon tanks are not ideal, but if you keep it clean your betta can live a health, happy life. It's not the end of the world. or even your betta's world. I'm SO upset right now! I had my fish in a 3 gallon tank, which I thought was fine until it leaked. I wanted to get a new bigger tank, but my mom made me buy a 1 gallon tank, and I can't get a new one!! I'm so sad for my fish, because he will just be stuck in there forever now. @Julia - Don't be upset. Keep the water clean by doing regular water changes, and try to avoid overfeeding. As you can see from the comments in this article, many bettas live for a long time in small tanks. They just aren't ideal. Do your best to care for him in his present home and upgrade when you can. Good luck! I have a betta fish, I got him a one gallon. And I'm very sad and distressed at this information. What can I do to keep him happy and helthy until I can buy a new tank? @Angela - Your fish may indeed be special, but I still wouldn't take this as any proof that small tanks are better for betta fish. There was a reason he was stressed in the 10-gallon tank, and it had nothing to do with tank size. I hope he does well in his new tank. I had my beta in a 10 gallon filtered, decorated, and heated tank and he would non stop flare, get stressed, and he seemed uninterested in his food. I decided to move him to a smaller cylindrical 2 gallon, heated, filtered tank with the live plants and a nice hiding place from the bigger tank and now he seems happy, is swimming up to the top, and is actually eating. I’m convinced my fish is special! @Emma: Just because it did not die does not mean it was the right thing to do. The number of fish that die because of poor tank conditions vastly outnumbers those kept in tiny tanks that live for 2 years. I kept my beta fish in a HALF GALLON tank for two years before it died. There was a small cave and a plant with some pebbles on the bottom and that was it. And it only does because no one fed it while we were on vacation! Thanks so much for the kind words, Amanda! I'm glad you found the article useful. Much like many of my peers, any time there is something I need to know or am curious about it, my first impulse is to do internet research and sift through search results and hopefully garner enough actual information over 10 or so clickbaity articles to come to a somewhat informed decision on what I am trying to figure out. That's all well and good, but this is easily the most simple, to the point, and thoroughly educational article I have clicked on since longer than I can even remember. I seriously just learned so much and didn't have to dig relevant information out of one long, rambling opinion piece. Every word was valuable. I'm stoked, thank you. I was doing everything wrong and you just answered every single exact question I had about how to do it right, without bringing up politics or something you're mad about. My betta thanks you, too. "Would you keep a dog in a closet? If you fed him and took him for a walk a couple of times a day he’d probably be fine, right? Maybe get a glass door for the closet so you can see him in here." I LOVE that analogy! :D Excellent!